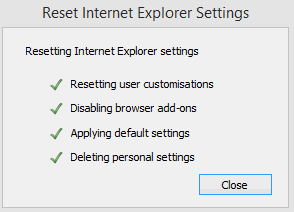 Most of the widely used Internet browsers have a reset option. This can be useful in case of problems caused by different add-ons, if there is browser hijacking or simply because of performance issues. 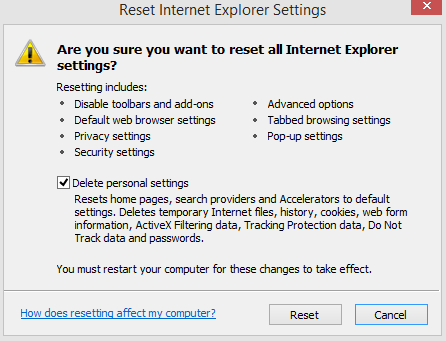 Let’s take a look at using the reset functionality in three of the widely used browsers : Mozilla Firefox, Google Chrome and Microsoft Internet Explorer. 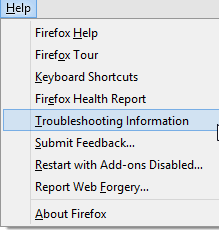 For resetting Firefox, go to Help > Troubleshooting Information. 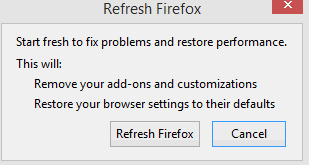 Next, click on “Refresh Firefox”. Doing this will remove all the existing add-ons and set the browser settings to default. 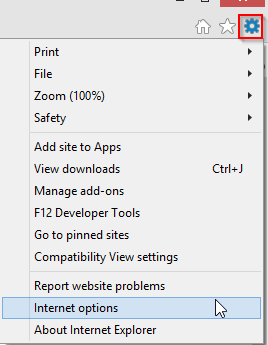 Access Chrome settings by clicking the horizontal lines icon next to address bar and choose “Settings”. Scroll down and at the very bottom, click on “Show advanced settings”. Click Reset when the confirmation dialog box is displayed. 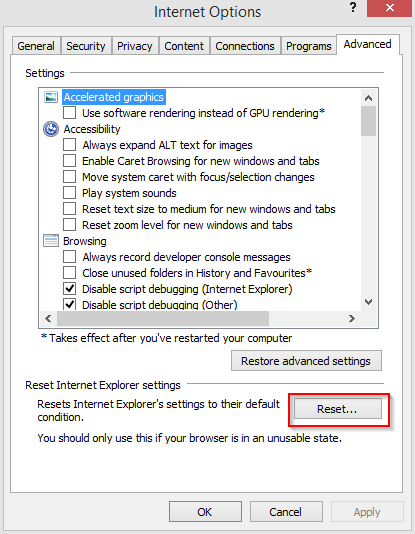 Resetting will disable all Chrome extensions, delete cache/cookies and browsing data and also change the home page to default settings. Click on gear icon and choose “Internet options”. Next, from the “Advanced” tab, click on “Reset”. In the next dialog box, enable the tick next to “Delete personal settings”. This will reset all the privacy settings, security settings, other user settings and disable existing toolbars and add-ons. 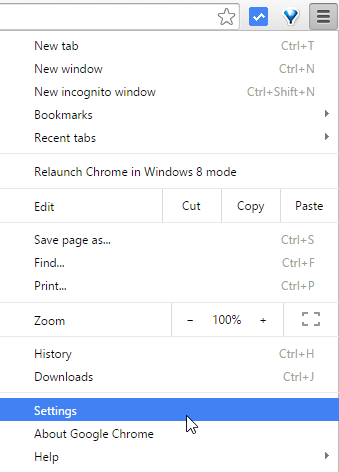 Using this reset option for browsers can save time when trying to troubleshoot performance problems or remove annoying toolbars and PUPs (Potentially Unwanted Programs). Resetting the browser settings and then running a malware/adware scan resolves most of the common annoyances in most cases. Tools like MalwareBytes and Hitman Pro are effective for fixing this. As always, it is a good practice to not install anything that isn’t familiar and check if extra unwanted software is getting installed during the installation process for any program.